I'm a digital reporter living and exploring Edmonton, Alberta. Check out my travel blog at travellingfrenchie.wordpress.com. Year-round, this popular outdoor Montreal attraction dates back to the 1700s when fur trading merchants began building docks for the ships coming to the shore. With a spectacular view of the St. Laurence on one side and a stunning view of downtown Montreal at night, guests can do a variety of activities like admire buskers, people watch or eat at one of the numerous restaurants nearby. Most of the streets in the area are cobblestone, and buildings in the area reflect the local heritage of La Belle Province. There are several activities which you can pay for but the Old Port is very budget-friendly for anyone. There is no shortage of museums one can attend for free almost every day of the week. The natural history Redpath Museum, which is part of McGill University's campus, is free to the public. The Musee des Beaux-Arts de Montreal has an always free permanent gallery for guests. If people watching and window browsing is more your thing, you should check out Sainte Catherine Street. 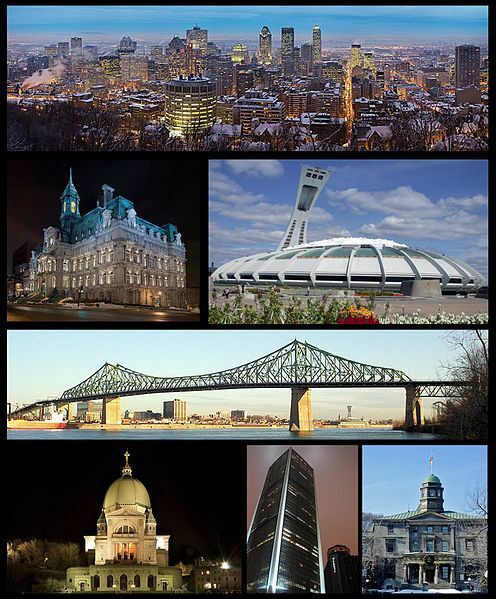 As one of the fashion capitals of Canada, Montreal's Ste. Catherine street boasts numerous boutiques, including the entrance to the underground mall. It is also home to Simons, the Quebec-founded retailer. With countless running and walking trails as well as mature trees, Mount Royal Park is Quebec's Central Park. A great place to enjoy a picnic or a stroll on one of the trails. Be sure to walk to the top to get a stunning view of downtown Montreal and the St. Lawrence year-round. It can get cold in Montreal during the winter months, so if you're visiting and want to explore the city be sure to check out Nuit Blanche, a night where a lot of the cities' museums and other attractions are free to the public and open very late. One of the best times in the summer is when the performers of the Jazz festival began playing in the city at both free and private venues. Drawing thousands of guests from around the world, the jazz fest is a great time to hear some talented international performers. An island off the Montreal island, Parc Jean Drapeau offers tourists and locals a chance to explore nature but also many of the sites like the old Expo 67 pavilions that still remain and also the beach in the summer. Great place to be year-round. A popular site to see in the summer is the International fireworks competition in which countries from all parts of the world compete with a firework display both Wednesday and Saturday nights. This isn't your typical fireworks show and can be seen (and heard) from several parts of the city. If you want a great laugh, this is the summertime festival you need to be at. With a lot of the showcases requiring purchased tickets, the festival is also home to a lot of free shows so keep your eyes out for a good deal. If there's one thing Montreal is known for is its food. With markets such as Marche Bonsecours and Marche Jean-Talon. Vendors at both offer several goodies like local art, food or produce, but also offer a chance to wander. Lived in Montreal for ten years, studied at McGill, Redpath was just around the corner for us. What a nostalgic experience to read your wonderful article. Perhaps you would consider adding a visit to the beautiful churches in Montreal, like Notre Dame de Grace, St Joseph's Oratory. Thanks for this.